This is the time of year when many people start trying to save money on their utility bills. Not only does the budget tend to get tighter with the holiday festivities, but this is also the season when water heaters are made to work a little harder than the rest of the year. Fortunately, there are some things you can do to help your system run more efficiently and save you some money. Here are 5 of those tips for you to put into practice. Water heaters have to work much harder to fill a bath tub with hot water than to heat the water needed for a short shower. 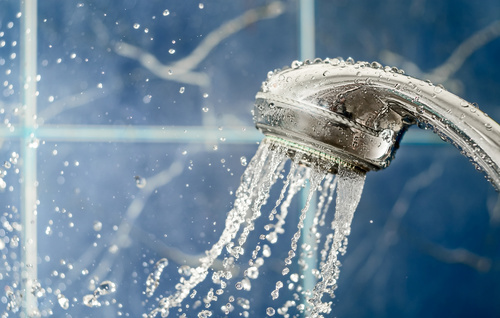 One of the simplest ways for you to save money on your utilities is to change your bathing habits to showers instead of baths. This works great for kids as well, although their time in the shower may need to be monitored. There is a temperature setting on your water heater. This regulates how hot the water in the heater gets. When this temperature is lowered, your heater will have to work far less to keep the water hot during the cold season. This really shouldn’t affect the heat in your showers, unless you take long showers. With all of the great laundry soap products on the market, there really isn’t a need to do most of your laundry loads with hot water anymore. Doing all of your laundry with cold water can really reduce the amount of energy required to heat your needed water supply. A lot of heat escapes from your water heater through the exterior of the tank. To avoid this kind of waste, all you have to do is insulate the tank. There are some great products out there made to do just this in a non-invasive way. It can result in a lot of savings. The new appliances being made all have high-efficiency settings on them. These settings are made to use the most of your water and products with the lowest amount of energy possible.